Wow, that is awesome! 130 million albums is incredible. Sounds like an awesome celebration and ceremony. Thanks for sharing this Dana. Looking forward to hearing Howard’s induction speech. As much as he’s been bitching about it he should end up doing a great oratory. Hope we get to hear that new version of Dead or Alive. I was never a fan of BonJovi for similar reasons you express. They were played so much on the radio and MTV in the 80’s-my teen years- that it was over saturated. Besides, they’ve pretty much always being bubble gum rock or pop rock. I’m a METALLICA fan and it’s hard to not laugh at James & Lars throwing darts at Bon Jovi’s fanmag poster during the recording of the Black Album. That being said, they have a couple of mainstays and I like John even more after being on Howard over the years. I think it’s really neat that they were given such props in their home state and 130 million albums sold ain’t to shabby either. Always liked Tico Torres, though. Priest should’ve gotten in ages ago, but then again they should’ve gotten in hands down. Rick Ocacek……bunch a’ shite. tasker, wasnt that kip winger.? Of course Priest should’ve gotten in the HOF a long time ago, but don’t blame Ric Ocasek and The Cars for that, it’s not their fault the R&R HOF still can’t get their shite together. I honestly have to say I was never a fan. I’ve always liked the heavier stuff and Bon Jovi just wasn’t my cup of tea. But I’m not so snobbish that I can’t acknowledge they’ve made some great, pop oriented hard rock. I may not be a big fan, but I respect Jon and the band and the career they’ve had. 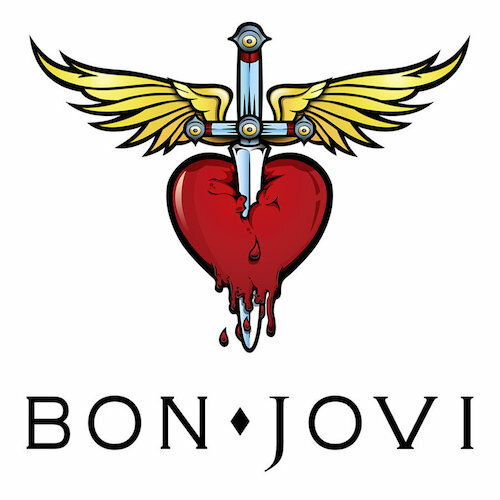 And, at one time, Bon Jovi were the biggest band in the world. Some more that deserve induction: Judas Priest, Iron Maiden, Motorhead, Ronnie James Dio (should have been inducted with Sabbath! ), Scorpions, Mötley Crüe, Def Leppard, Megadeth, Thin Lizzy, Ted Nugent, just to name a few.